Bring our 4 Gallon Simply By The Box All Cheese to any party. It is sure to be a Hit! 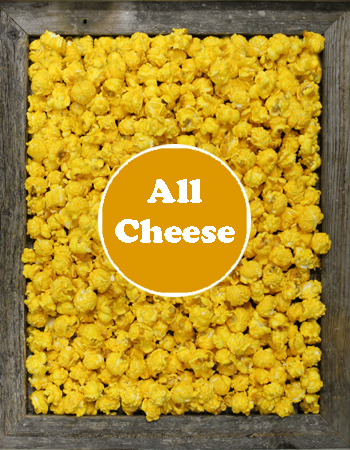 It satisfies the pickiest of cheese popcorn fans. Enough for a large group - Approximately 80 cups of Cheesiest Deliciousness! Product arrives to you in bags, gift boxed with our signature packing.